Percy Daniels was a Populist and was promoting the adoption of a graduated property tax. In this pamphlet, he argues that it will aid millions of oppressed workers rather than millionaires. It includes a speech to the state convention of the People's Party of Kansas. The pamphlet also includes information about efforts in Congress related to graduated property taxes. 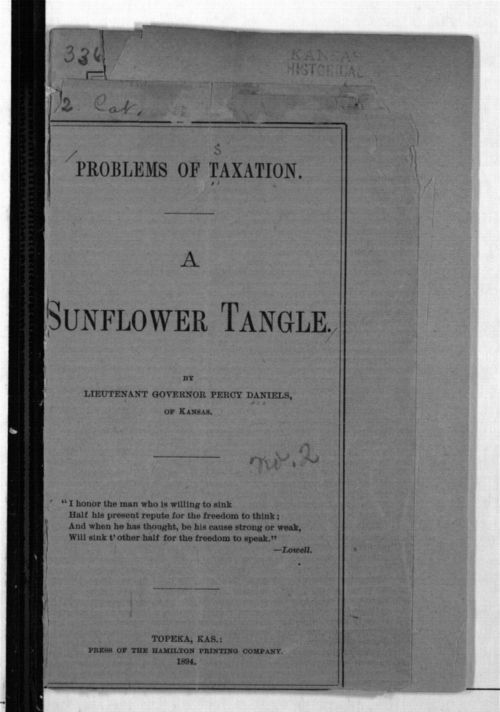 Daniels was serving as Lieutenant Governor of Kansas at the time this pamphlet was published.